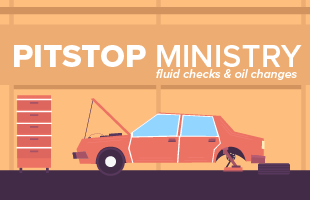 PitStop is a ministry of Christ Church that provides vehicle fluid level checks and oil changes* FREE of CHARGE to those who are in need of just a little help. If you would like to experience this expression of God’s love, please join us in the CC parking lot (14242 E. 21st Street North – Wichita) on the second Saturday of each month. Registration takes place from 7:30am to 8:15am (first come, first served). Oil Changes & Fluid Level Checks will begin at 8:15am and continue in the order registered until every vehicle is complete. We hope to see you here on the 2nd Saturday of THIS month! Fill out this form to let us know you plan to be here! Does this sound like a fun ministry to join? We are looking for volunteers to help with the oil changes, interact with the people who arrive, or donate oil and fluids. This will take place on the CC parking lot - beginning in February. If you would like more information, fill out this form, or email admin@eastsidecommunity.com.